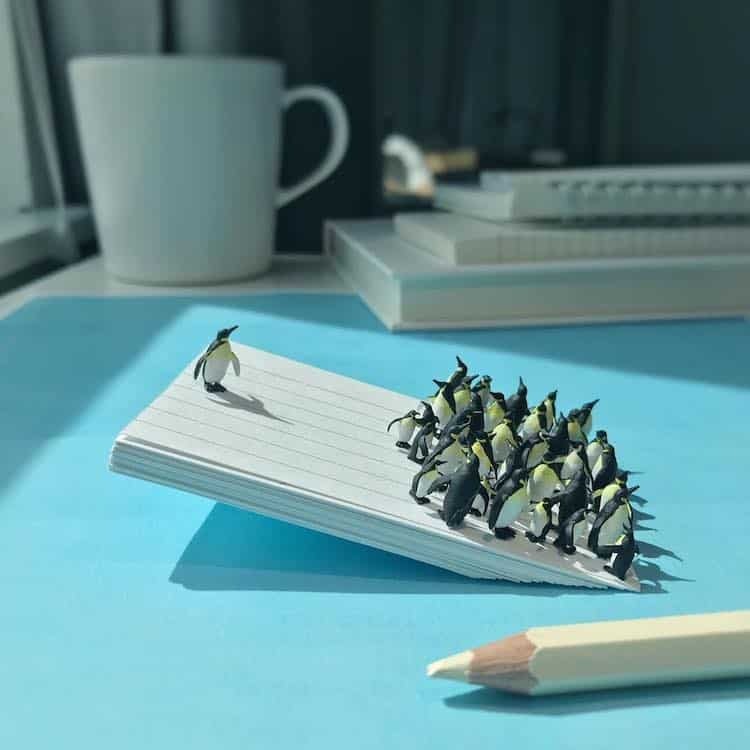 Finding the humor in regular office fights, Derrick Lin started creating mini vignettes as a means to visually express his frustrations. 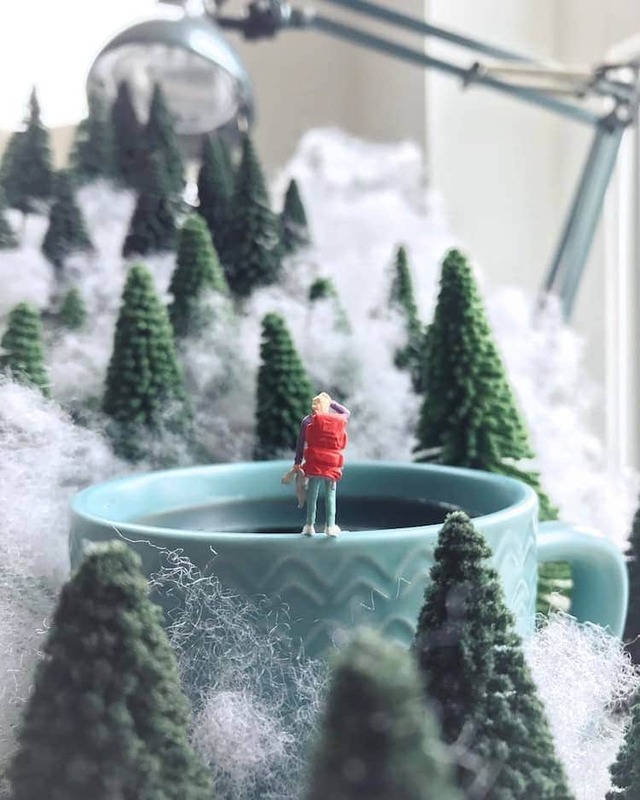 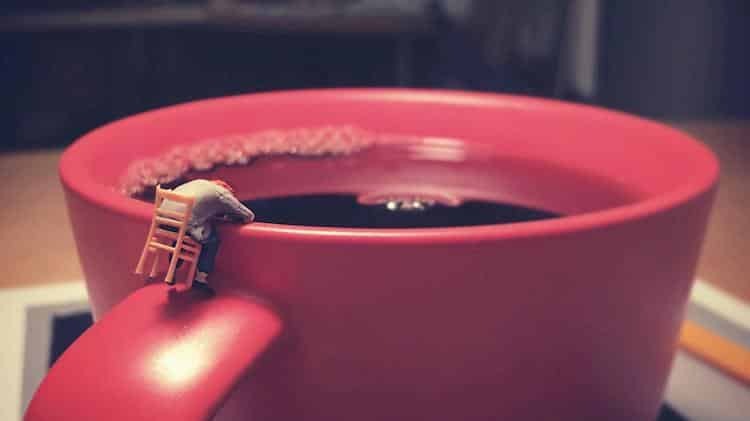 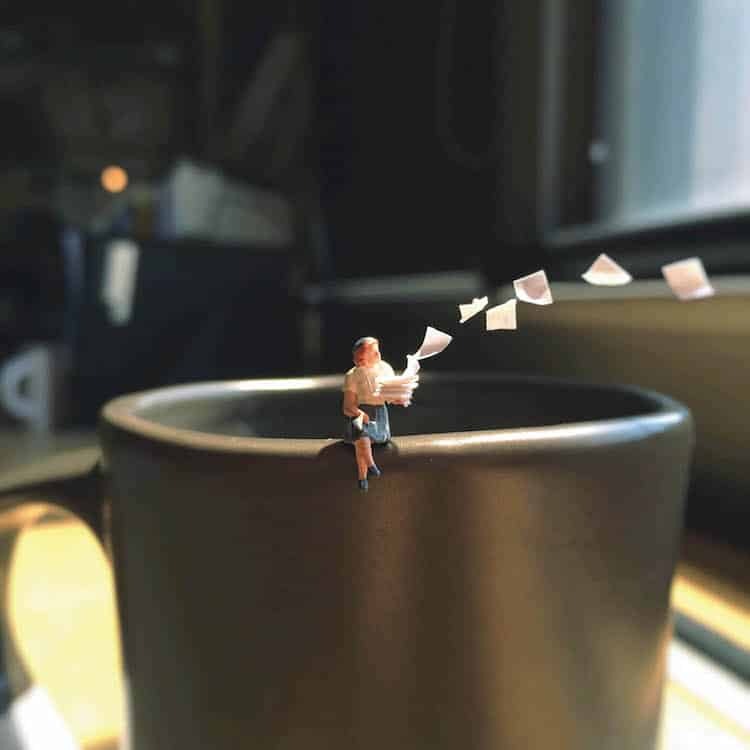 Using everyday stuff, he shoots everything with his iPhone and publishes these relatable scenes to Instagram. 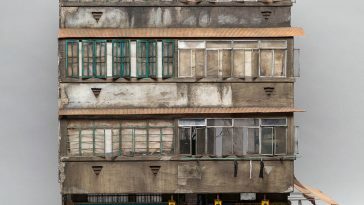 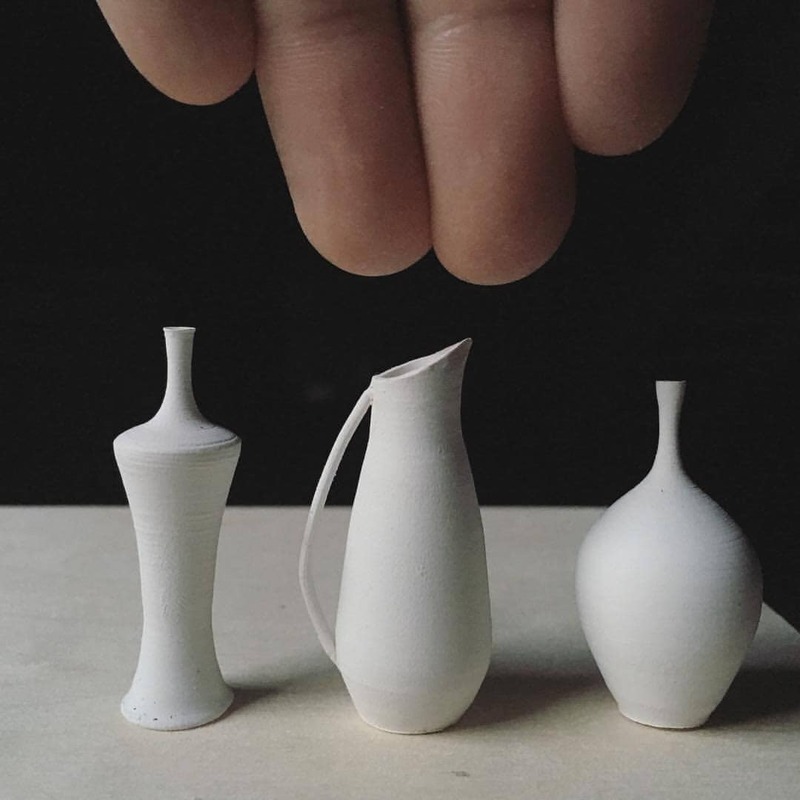 Now, a significant part of his work has been assembled in his forthcoming book, Function, Figuratively Speaking. 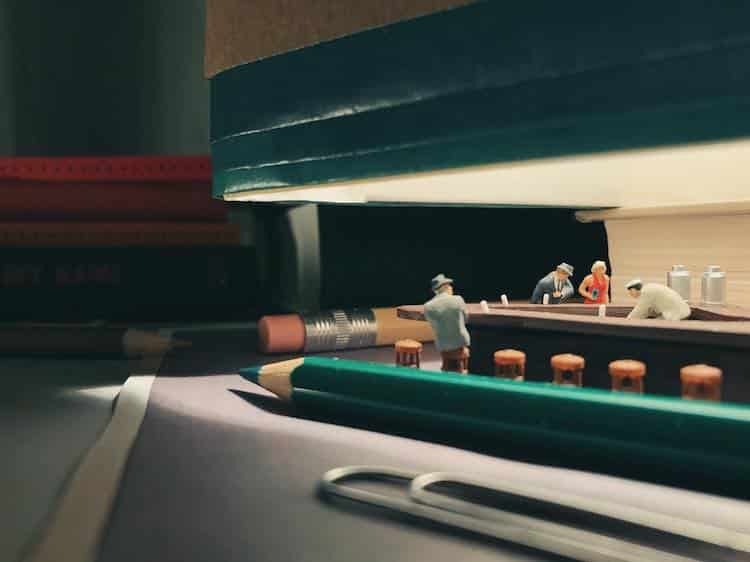 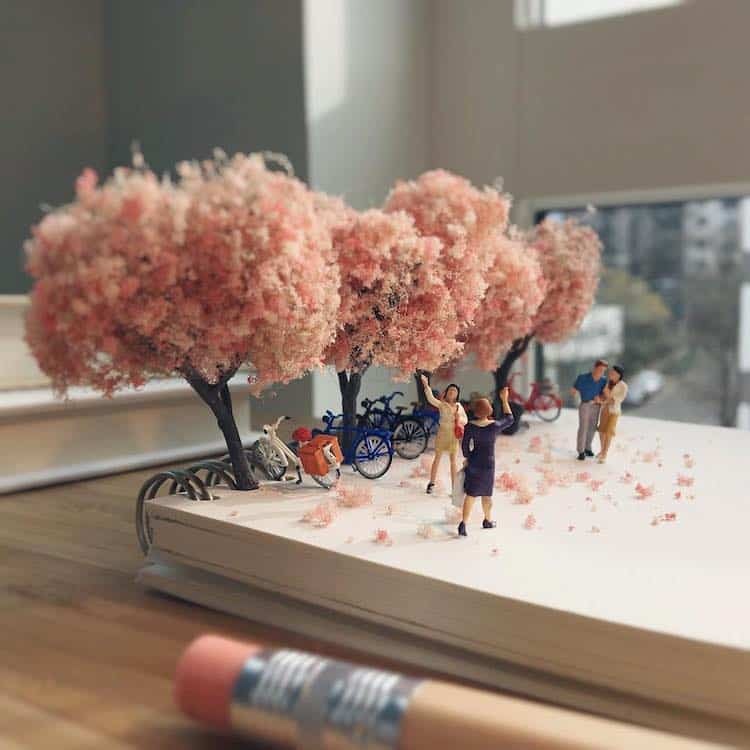 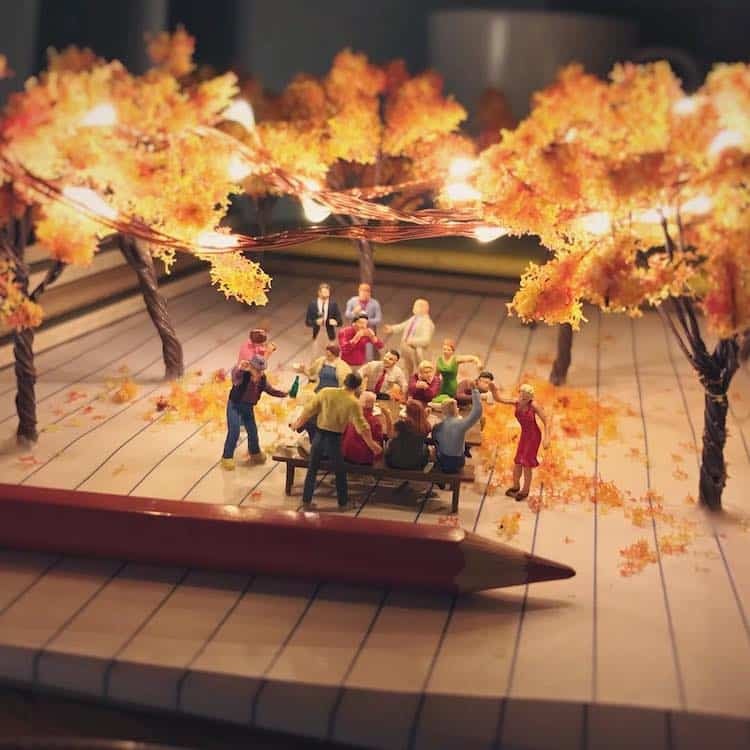 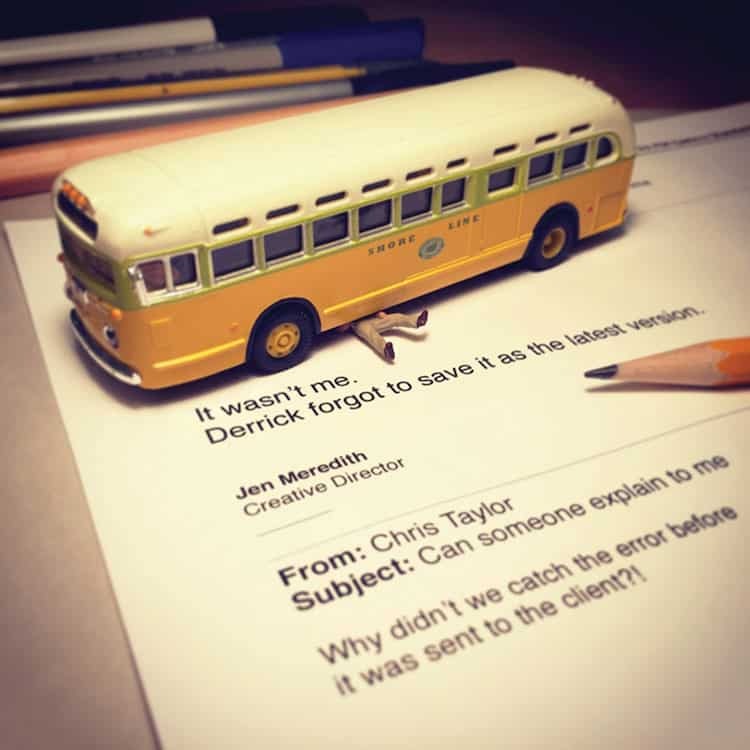 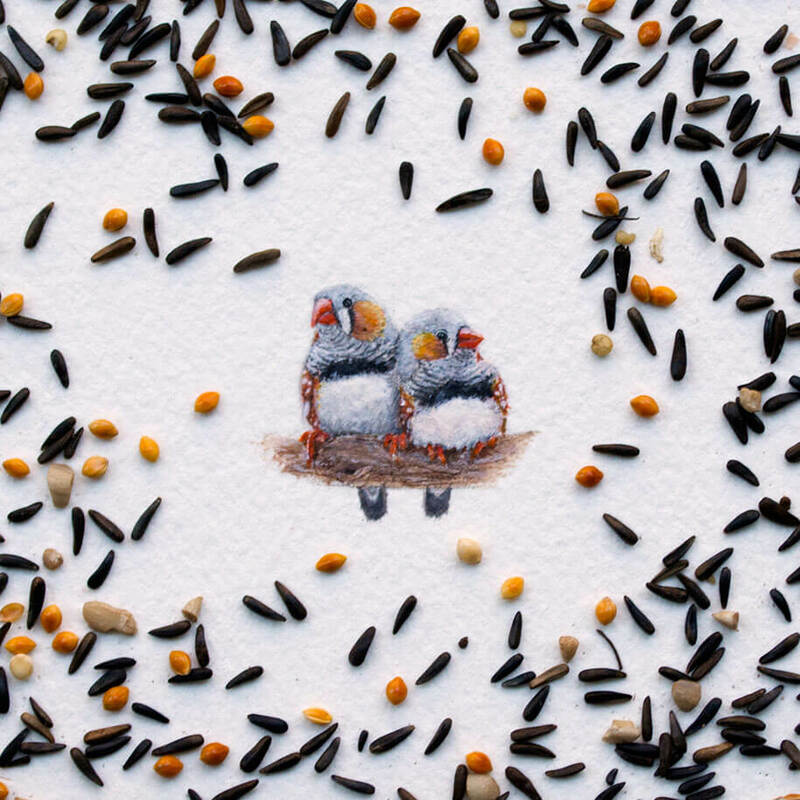 From a version of Edward Hopper‘s Nighthawks made with pencils to someone–literally–getting “thrown under the bus,” Lin cleverly uses miniature figures and some office supplies to represent the struggles and victories of the office. 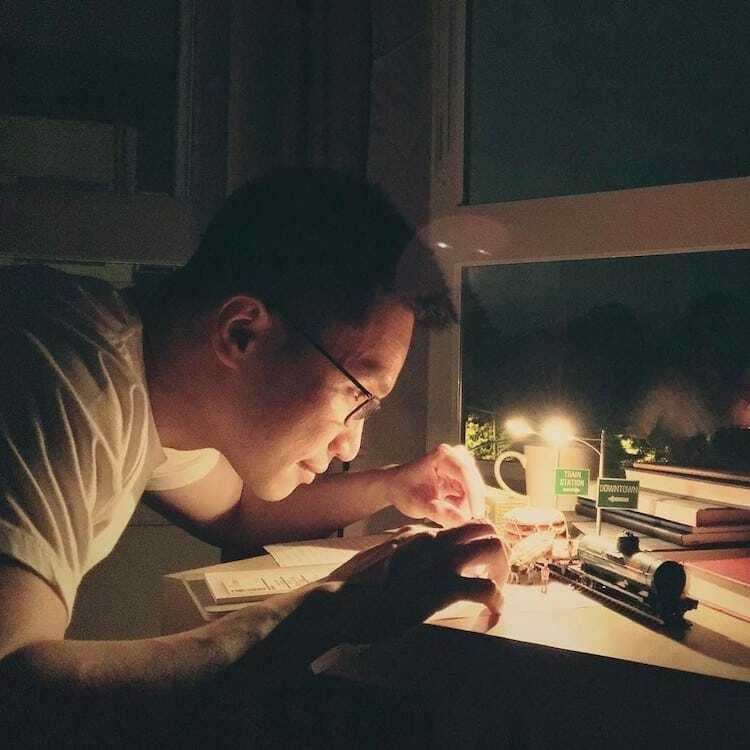 Lin functions in advertising, so it was a natural fit for him to slip into this visual discipline, injecting humor into sometimes difficult scenarios. 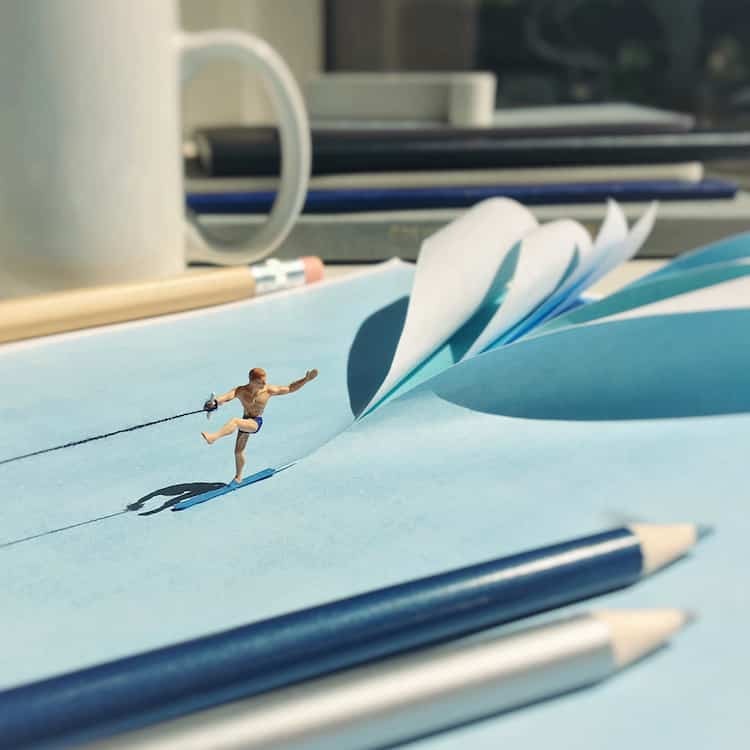 The artist also finds the lighter side of life, allowing us to slow down and unwind with his scenes of a figure jet diving along a sheet of newspaper or enjoying an evening picnic with friends. 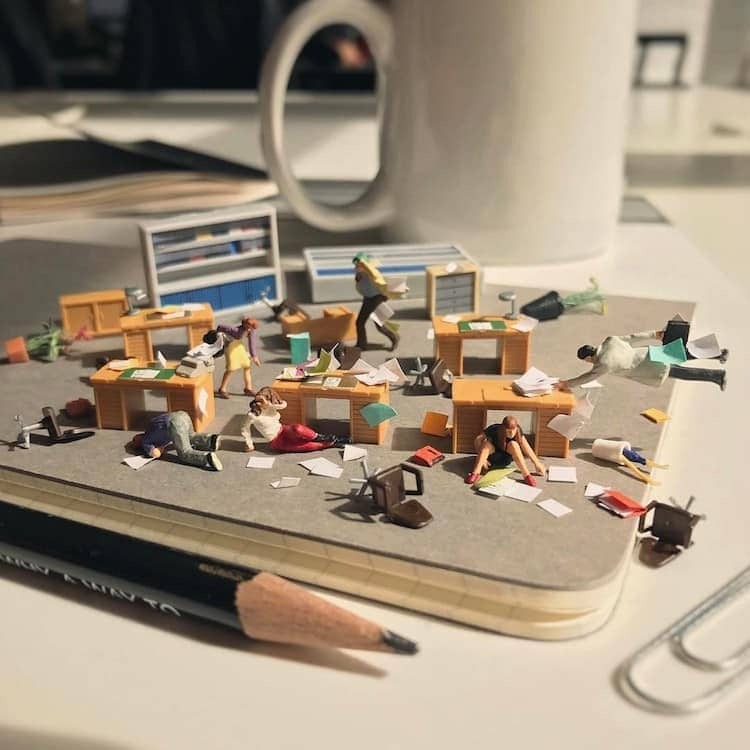 Derrick Lin’s publication Work, Figuratively Speaking: The Big and Little Victories of Office Life, published by Rizzoli, is now available for pre-order. 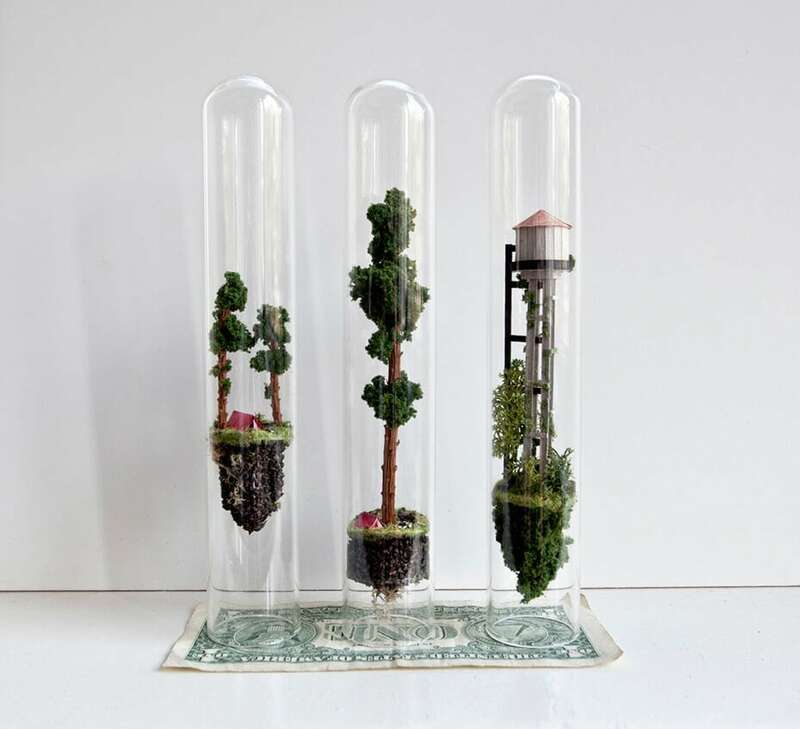 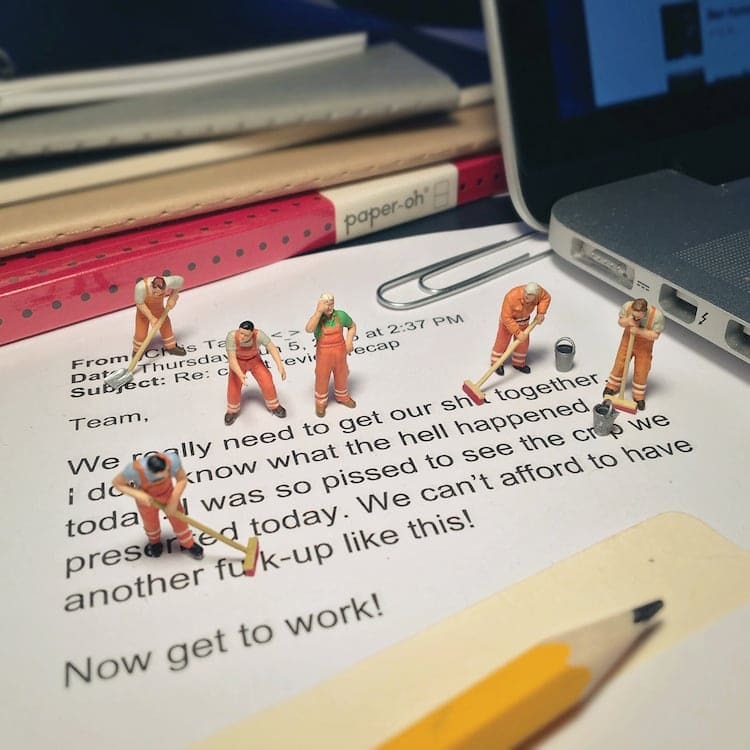 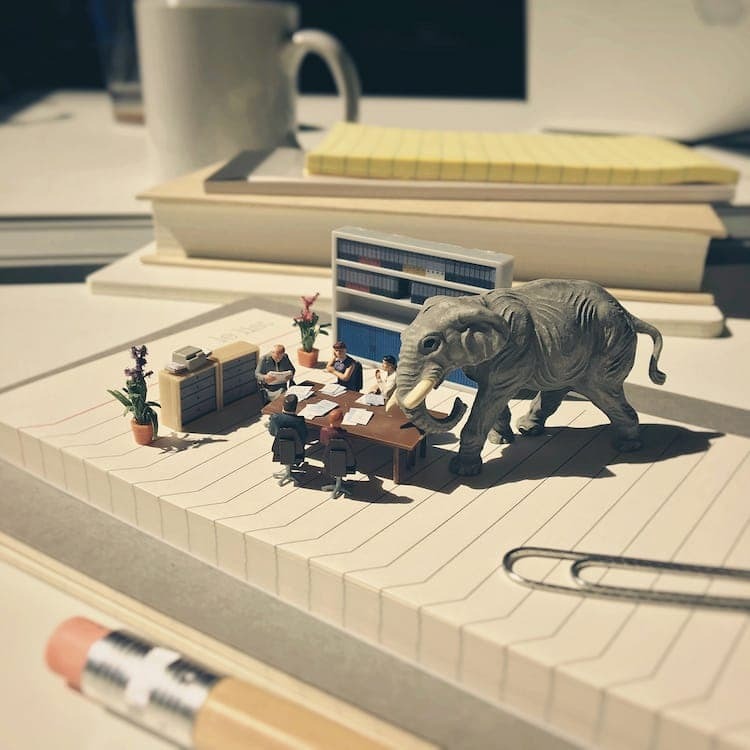 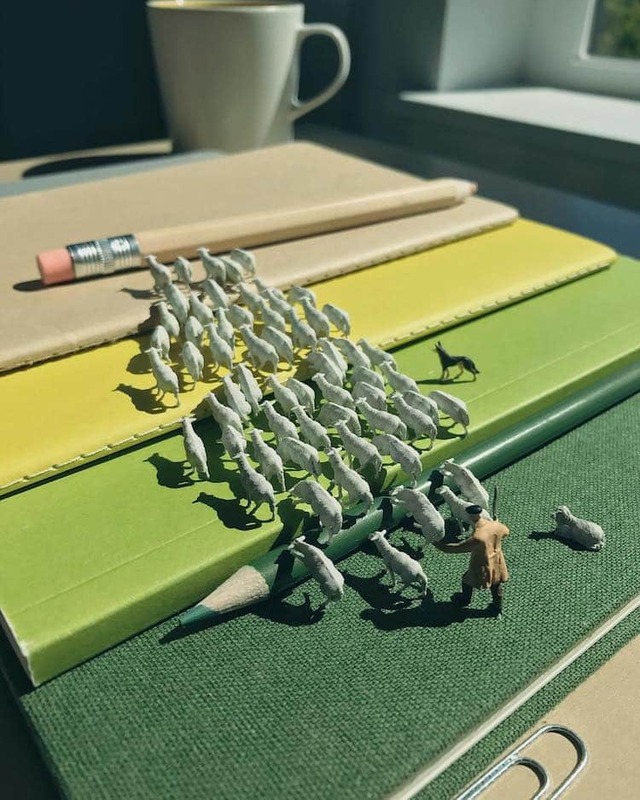 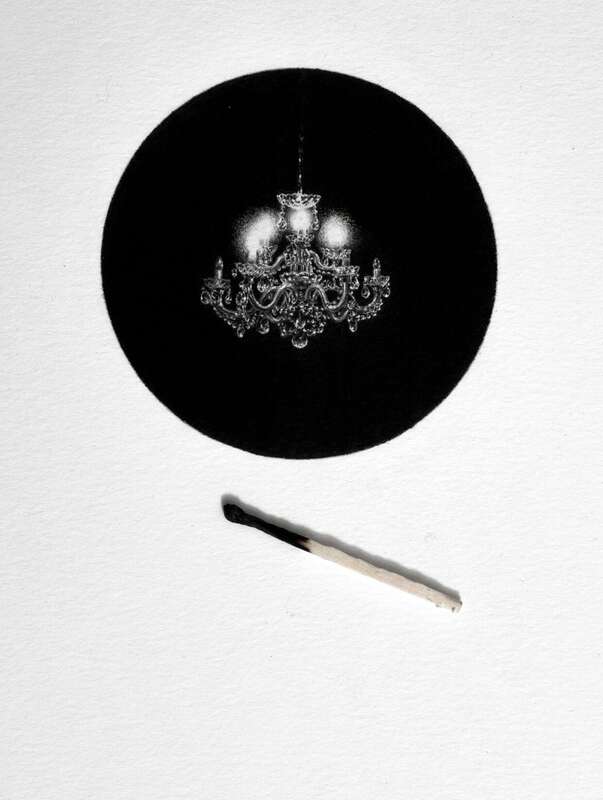 Derrick Lin’s original miniatures play on the battles and triumphs of the workplace.